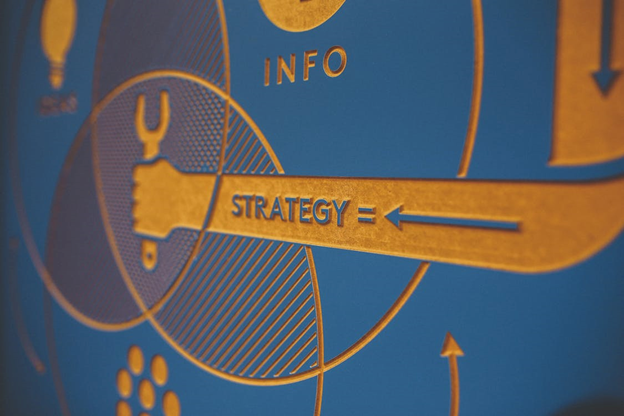 A social media specialist makes strategies and executes them to boost a brand’s image online. There are lots of social media specialist resume examples online that show the right format. However, details that make a resume stand out are often left out. So, we made a sample to guide you. Here, you will learn how crucial branding is, mainly in resumes. Study predicted an expected 10% growth in social media specialist jobs from 2016 to 2026. According to Glassdoor, the average social media specialist salary is $50,173 per year. To know if you’re ready for this job, read this social media specialist job description below. Another key factor in job application is your requirements. Of course, you must see if you have these. To help you, here is a list of requirements needed in social media specialist jobs. To know how to put these skills, read one of our social media specialist resume examples below. This one has useful keywords that can help you with your job application. Highly motivated, hardworking and innovative professional, with broad-based experience in training and development, creative marketing design and communications and customer service. Exemplify extensive product knowledge and business management skills coupled with comprehensive hands-on experience in performing and supervising activities for commercial customers and employees. Highly effective leader, with well-defined technical skills and powerful communication, problem solving and negotiation aptitude. Bilingual; fluent in English with working knowledge of Spanish. Willing to relocate. An advocate with strong commitment to ongoing professional growth and development in the social media and networking setting. Exceptional visionary with advanced and innovative way of thinking that facilitates the identification of new opportunities. Single-handedly created videos, slideshows, manuals, flyers and keynote presentations for Apple retail in Miami. Pioneered designs for a line of boxer’s/loungewear for JDL-MJC SF LLC, a manufacturer of apparel. Collaborated with the merchandising director in establishing concepts for design creation and printing pattern. Solely designed a postcard promotion for a movie that was advertised at Comic Con. Strategic, results-driven professional with proven ability to thrive in environments that constantly embrace new technology; provided proactive leadership as well as conceptualized and executed innovative and sustainable initiatives. Served as Certified Apple trainer and mentor for growth and development of co-employees at the Apple store; administered group trainings, workshops and presentations. Initiated in-store workshops regarding Apple hardware and software applications. Proficiently taught computer lessons, accomplishing more than six sessions daily. Educated users on how to create and edit graphics, such as images and text for print,email, web and presentations. Established a reputation for sales and customer service excellence as reflected in building and maintaining loyal relationships built on trust, communications, and professional approach. Exemplified strong technical and troubleshooting knowledge while providing software support to customers and employees in resolving issues. Interviewed and evaluated potential job applicants; participated in the decision making process; and offered insights in the final selection process. Trained newly hired employees as store mentor. Assisted in the onboarding of new employees at Apple retail in Miami. Most Valuable Trainer Award, Apple Corp.
Easy Going Award, Apple Corp.
As a marketer, you should know how to brand yourself. You know how important keywords are, right? In fact, you can use your marketing skills to stand out from your rivals. This given sample will serve as your guide in resume writing. To add up, here are some tips on how to write the best resume. Use the best keywords. Boost your chances of getting a job by using good keywords. Highlight your experience. Background also plays a crucial role. In fact, focusing on it can help you stand out from your rivals. Follow the right format. Format plays a key role, too. Since this is a formal file, you may want to avoid using stylish fonts. Be creative but know your limits. It is okay to get creative with color, but do not overdo it. Make it simple, so the focus will be on the content. Be wise with sections. Tailor each section to the job you’re eyeing for. Also, omit details that are not needed to show a clear goal. Let us help you with your job application. Our social media specialist resume examples only serve as a guide. We have more resume samples you can use as a guide. Need help in writing your resume? We can help you. Call us now and know more about our best resume writing services!